Observation Mission (SEOM) Statement on the Constitutional Referendum in the Republic of Zimbabwe. of the GPA which outlines the processes and timeframes leading to the holding of the Referendum. observe the Referendum held on 16 March 2013. The Chairperson of the SADC Organ on Politics, Defence and Security Cooperation appointed me, Bernard Kamillius Membe, Minister of Foreign Affairs and International Cooperation of the United Republic of Tanzania, to head the Mission. The SEOM was officially launched in Harare, Zimbabwe, on 10 March 2013. After days of intensive work, the SEOM has the honour to deliver its statement on the outcome of its observation of the Constitutional Referendum in Zimbabwe. 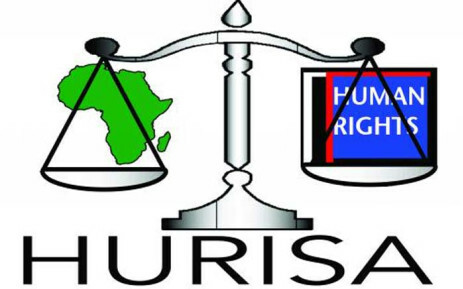 The Mission derives its mandate from the SADC Principles and Guidelines Governing Democratic Elections, which emanate from the African Union (AU) Declaration on the Principles Governing Democratic Elections in Africa and the AU Guidelines for African Union Election Observation and Monitoring Missions. The Mission also worked within the legal framework of the Republic of Zimbabwe. in their areas of deployment. Guided by the SADC Principles and Guidelines Governing Democratic Elections, the Mission deployed twelve (12) teams of observers across all ten (10) provinces of the Republic of Zimbabwe. Observers were given the responsibility to observe the Constitutional Referendum and to give comprehensive accounts of their findings in their areas of deployment in order for the Mission to provide an informed assessment. The SEOM deployed seventy eight (78) observers drawn from various sectors of SADC Member States including Members of Parliament and civil society. These interactions have assisted the SADC Election Observation Mission to understand the prevailing political environment in the country. On timeous availability of resources for preparation of the Referendum, the Mission gathered that ZEC had received the bulk of their funding just before the Referendum. However, the Mission observed that the funding challenge did not hamper the overall Referendum. Regarding insufficient copies of the Draft Constitution distributed to the electorate; the Mission was informed by COPAC that 90,000 copies of the Draft Constitution, including audio and braille versions, were distributed across the country. Furthermore, the Mission learned that there were some existing mechanisms in place to access the Draft Constitution such as the COPAC website and regional offices. With respect to inadequate time allocated for the electorate to acquaint themselves with the Draft Constitution; the Mission noted that the electorate had between (15th of February being the proclamation of the date of the Referendum to the 15thMarch 2013) to acquaint themselves with the Draft Constitution. The Mission observed that the Referendum took place within the provisions of the GPA Article 6 and the Referendum Act, Articles 3 and 4. Regarding inaccessibility of polling stations in some areas; the Mission observed that due to inaccessibility of some areas, the transportation and distribution of polling materials as well as the polling officers was airlifted by ZEC. The SEOM noted reports of isolated cases of intimidation and harassment in some areas and in particular in Mbare, Harare. The SEOM condemn these acts of violence and pledge to law enforcement agents to objectively deal with these matters as they arise. The Mission observed that the pre-referendum phase was characterized by a largely tolerant and peaceful civic atmosphere. In general, ZEC, COPAC and other relevant stakeholders conducted their work in a transparent, orderly and professional manner without any hindrance. With regards to the eligibility of voters, the Mission noted that according to the Referendum Act, voters are not required to register for the Referendum and only those who are at least eighteen (18) years old and have a national ID card, waitingpass or valid passport can vote at any polling station across the country. The Mission observed that most polling stations were opened by polling officers at the official time of 07:00 and closed at 19:00 in the presence of security and Observers. Furthermore, special arrangements were made for voters with special needs, such as priority queue for the elderly, expectant and/or nursing mothers and people with disabilities. The Mission observed the professional conduct of the polling staff. The Mission observed that the counting process began immediately after the closing of the polling stations. The counting process was conducted procedurally. Furthermore, procedures for secure counting of votes were adhered to. In addition, the Mission witnessed and followed closely the counting of votes together with the polling officers without any hindrance. The Mission is pleased to share its findings and observations with the people of Zimbabwe and all relevant stakeholders. In general, the Mission observed that the polling process was conducted in a peaceful, transparent and smooth manner. The Mission has come to the conclusion that although some of the concerns raised are pertinent, they are, nevertheless, not of such magnitude as to affect the credibility of the overall Referendum. We also wish to commend ZEC for the professional and dedicated manner in which they delivered a successful referendum to the people of Zimbabwe. On behalf of the Chairperson of the Organ on Politics, Defence and Security Cooperation, His Excellency Jakaya Mrisho Kikwete, President of the United Republic of Tanzania and on behalf of the entire SADC family, I wish to sincerely congratulate the Government, ZEC and the people of Zimbabwe for holding a peaceful and credible Constitutional Referendum on 16 March 2013. This is a major step in the implementation of the GPA and I therefore would like to take this opportunity to encourage the political leadership and all the people of Zimbabwe to uphold peace and stability.